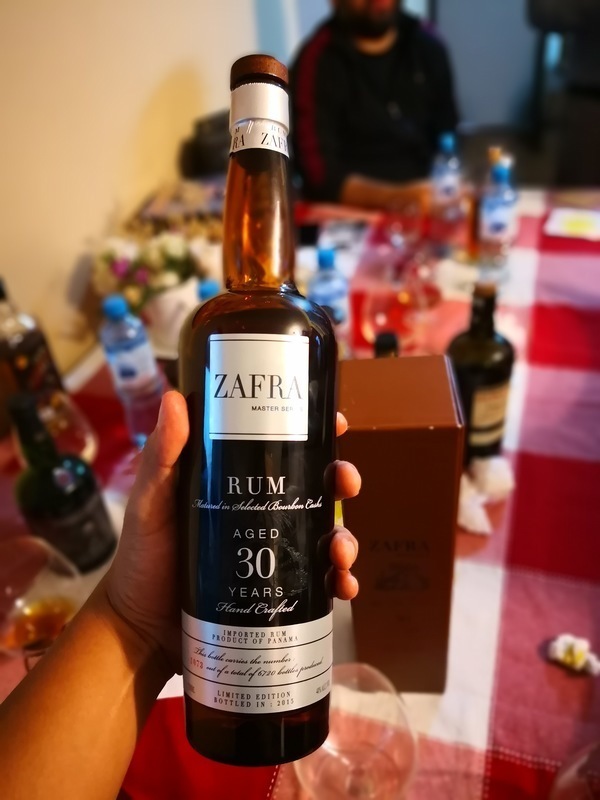 Have you found an online vendor selling Zafra Master Reserve 30-Year? Trully amazing rum, great aftertaste, great flavor, great finish and persistance. This excellent dark amber rum presents scents of vanilla, caramel, fruit and wood, which when you taste it, you can also feel on the tongue the bourbon present in the barrel where it was aged. 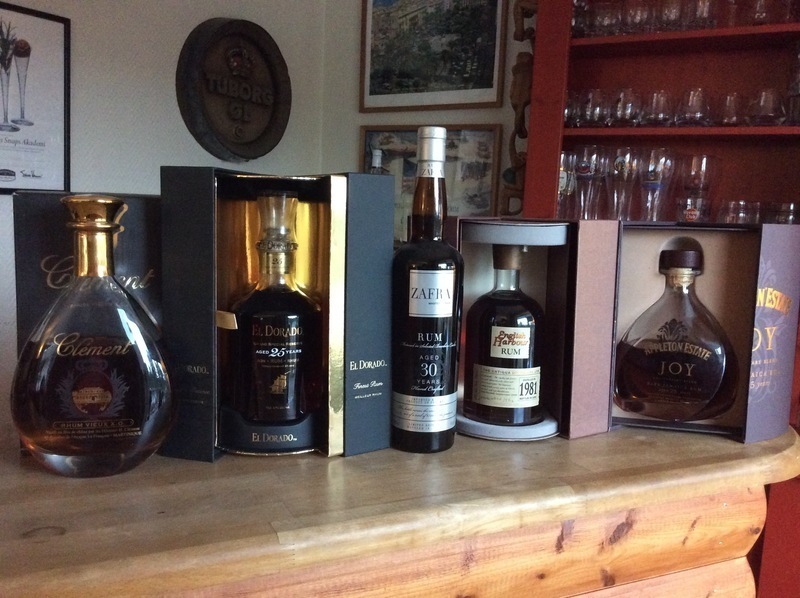 Este excelente Ron de color ámbar oscuro presenta olores de vainilla, caramelo, frutas y madera, que al probarlo puedes sentir en la lengua también el bourbon presente en la barrica donde fue envejecido. Amazing rum - wonderful flavor with a long after taste, sweet. my bottle is 5600 out of 6720 bottled in 2015 so it makes it a rare specimen! Tasting as good as it does, this wont last very long! Ein guter Rum, leider für das was er bietet viel zu teuer. The color is a beautiful caramel mahogany. You get a hint of the barrel to the nose with a vanilla, syrup and woodsy smell that take you through the woods and a wonderful fire. The taste as it hits your tongue is a vanilla, caramel and subtle fruit with minimal burn from the bourbon barrel. Probably a bit pricey but excellent rum easily in top 5 percent. Great neat or on rocks. Would be excellent with cigar. Yes it is expensive and limited but if you can afford a bottle and find one I don't think you will regret getting one. I really like the standard Zafra bottling but this one is even better. This is a slow sipper for me. Malgré le prix assez cher 250 euros la bouteille je ne suis vraiment pas déçu d'avoir craquer dessus je le conseille vivement !!! This is a sweet & decadent rum that is well worth the money. The finish is smooth and long lasting. Why "surprising"? Because I rate the Zafra 21 an 8 - this is a nice step up. This is smoother than the 21, and more sophisticated. Smells and tastes of caramel, oak, and honey, with a hint of bourbon, and a nice light spice. I prefer this to the $500 El Dorado 25, which I knocked down to a 9 after tasting this (it was previously at the bottom of my 10's which are getting over-crowded ). A delicious rum; I recommend this even if you're not a fan of the Zafra 21. Mit Abstand bester rum den ich je getrunken habe. Hat auch seinen Preis aber der ist er absolut wert. Simply my favorit rum. Very well-balanced with great flavours of wood, honey and vanilla. After that you smell discreet tastes of sherry and boubon. Even the price is high I had to buy a bottle after trying it. I think the 30 years old rum does not need long comments, especially when it is made by the legend - Don Pancho Fernandez. Bottle 3717 out of 6720! Can it be any better then this? Nose, mouth, afterburn - Georgius! The best “Ron” I have ever tasted! If all their claims are true, this rum is spectacular. I'd honestly give it a 9.5 It hits a lot of the right spots. Like all of them. Think one can expect more at that price. This is a very limited expression and will not be around for very long. With only 6720 bottle made it will be gone in no time. Un rhum qui se place sans problème parmi les meilleurs. Zafra 21 has been my "go to" Spanish distillation for the past few years. When my local rum partner informed me that a 30 year old was on the way I was dizzy with excitement. The warmth, complexity and depths of Zafra's hand crafted 30 year can be described in so many ways but without actually drinking it they'd still just be tasting notes. If your passion for rum runs deep enough to be a member of Rum Ratings, run don't walk to your supplier... After all, there were only 6730 bottles made. I have 3 - for now. Deosebit de bun acest rom de care până aici la Festivalul German de Rom n-am auzit. A fost o surpriză interesantă. APARIENCIA: Profundo, de color cobre. Largas piernas en forma de lágrima. NARIZ: vainilla y melaza salpicado de especias de Navidad, caramelo y otras notas Bourbon-barril. Boca: dulce, melaza voluptuoso y notas de vainilla. Notas de frutas, fresas con crema y el plátano. regaliz matizada, la canela y la nuez moscada.